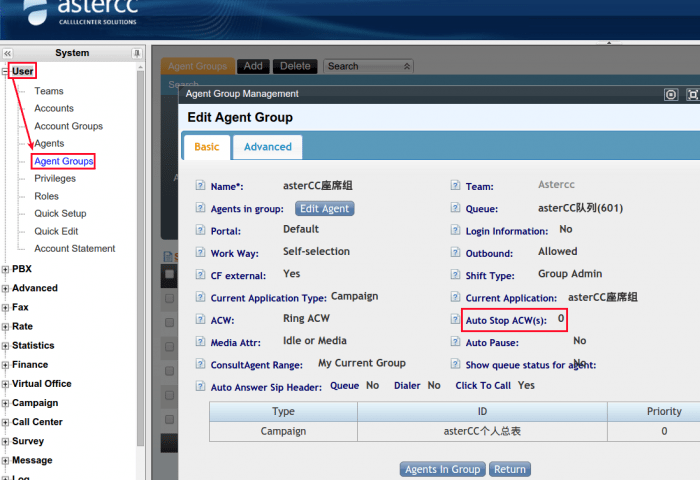 Add “Auto Stop ACW(s)” function. 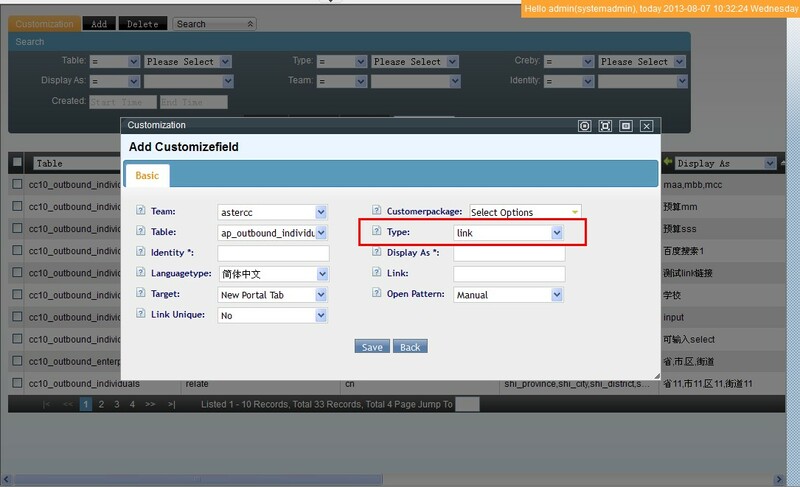 Change the fixed size of selection area. 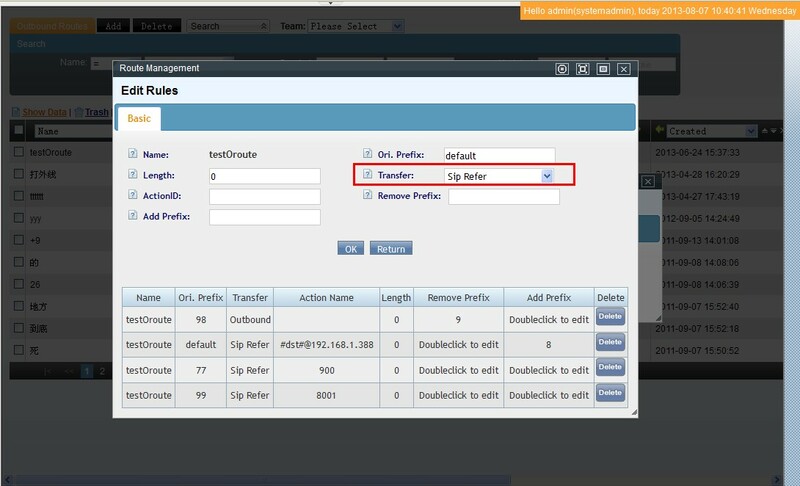 Add the function of deleting the past CDR by the script. 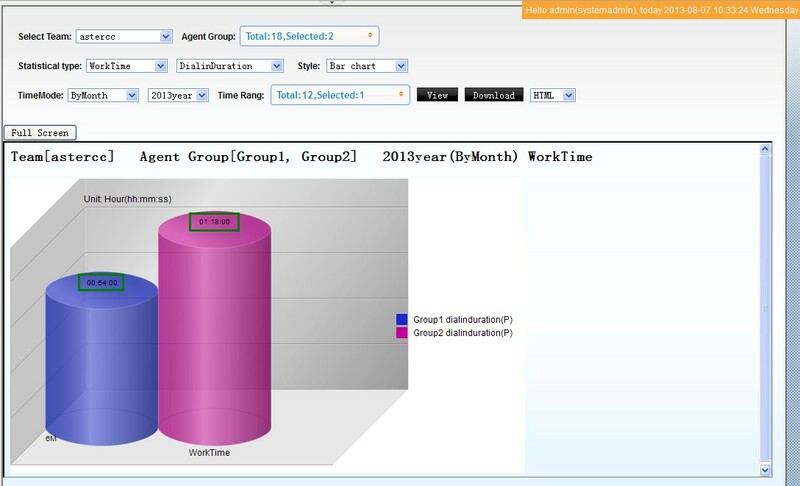 On the page of [Statistics]→[Agent Details]，add columns(workmode_dialin，workmode_dialout，workmode_all) to display and export. 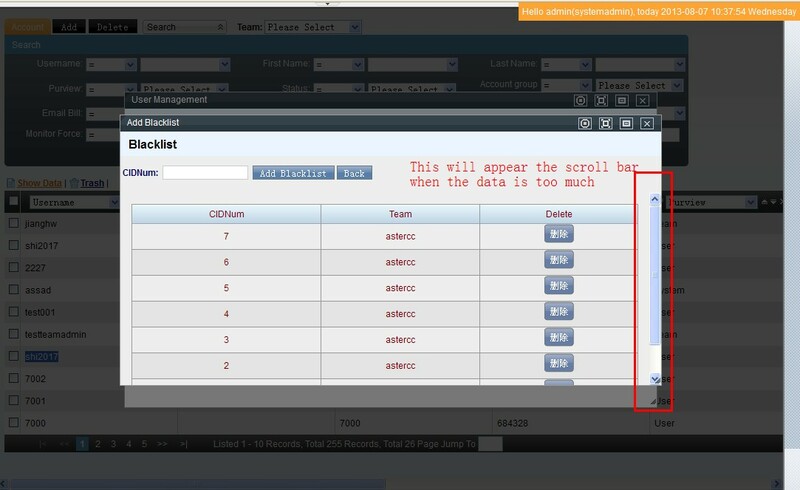 On the page of [System]→[Recording Plans]，Whether delete the source file of recording when we delete the Recording Plans. 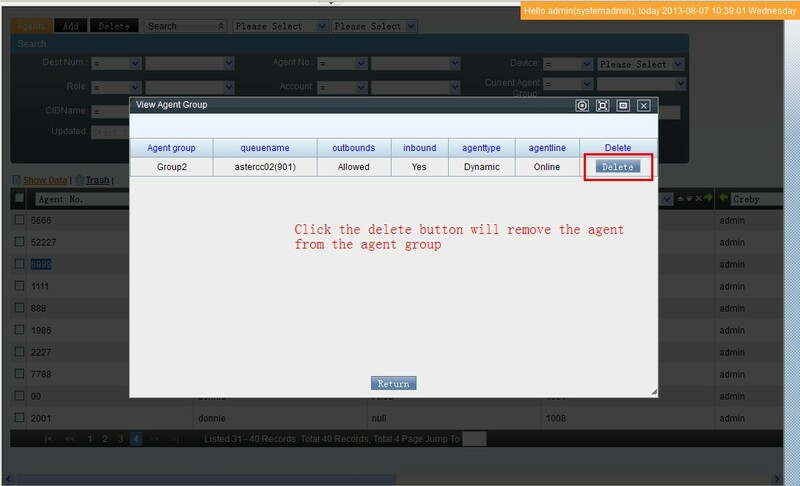 On agent desk page，add a radio button that control all status in different agent groups. 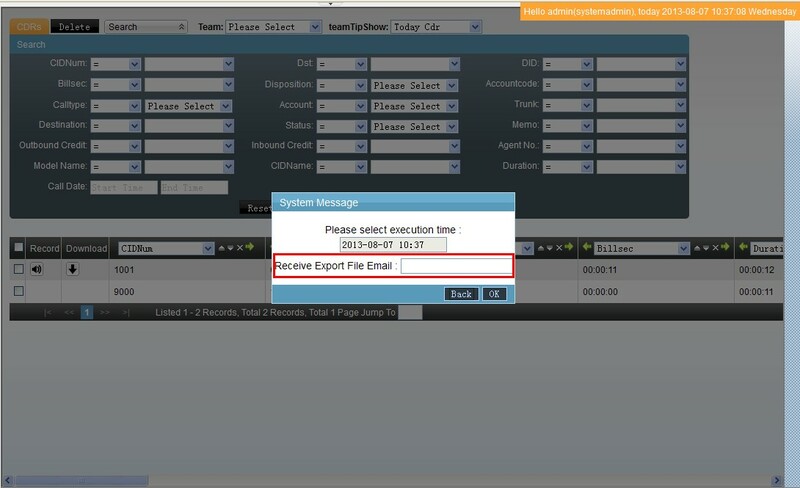 On the agent desk，we add “current status and duration” under the “Status” button. 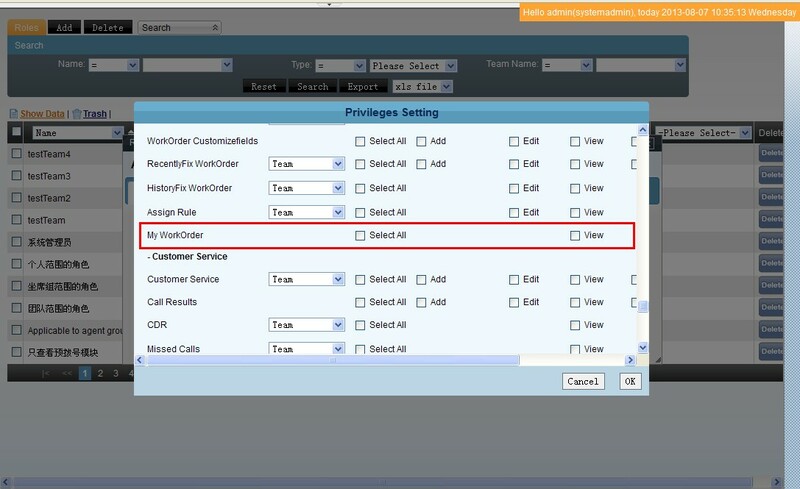 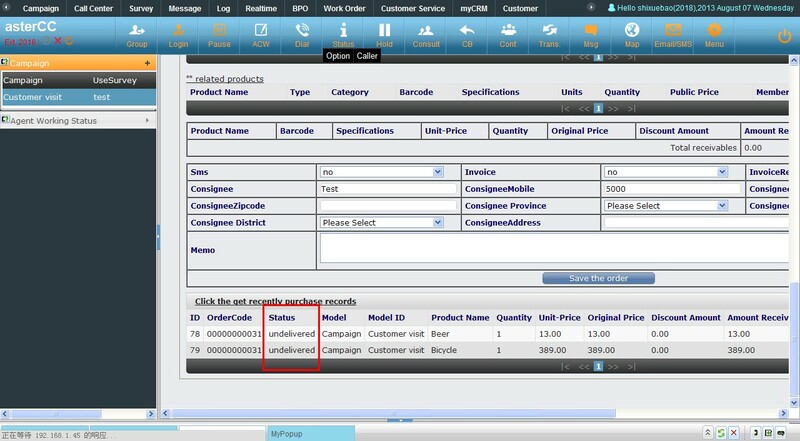 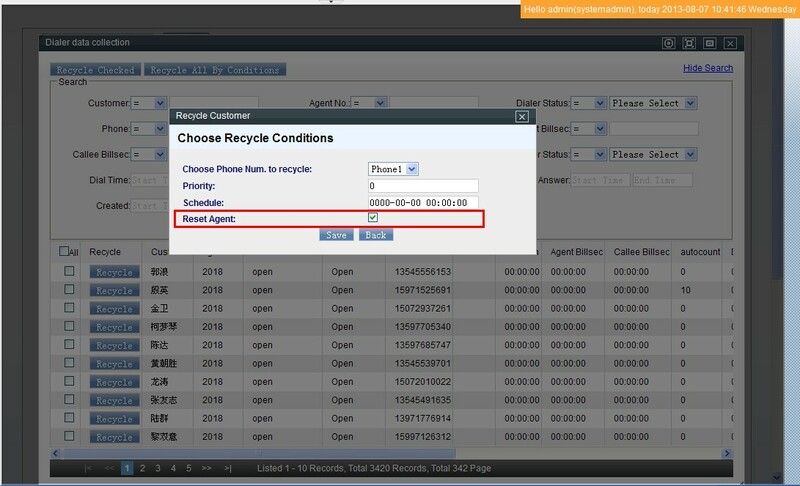 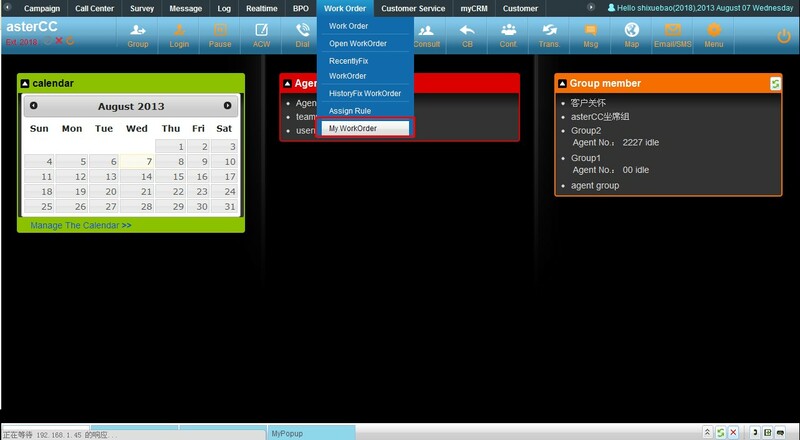 On the agent desk，when you click the “Obtain Customer” button，the first date of customer will appearing automatically.